A standout ball for fancy footwork. Showing off an eye-catching design inspired by adidas' iconic range of soccer shoes, this durable ball is perfect for kickabouts and casual games. A tough TPU cover and machine-stitched construction offer longevity. The butyl bladder keeps it inflated for longer. 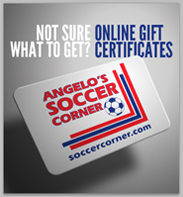 Get into a pair of Adidas soccer cleats or Nike soccer cleats and get out and play! 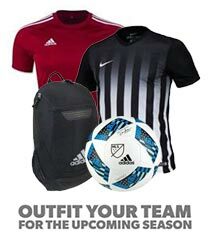 You can get all your gear at SoccerCorner.com!